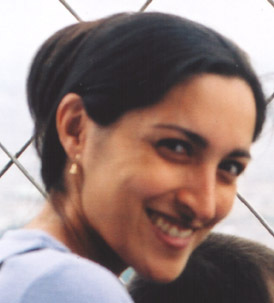 Sita is a choreographer/media artist and a lecturer in dance at University of Leeds. She achieved her PhD in January 2002, creating a model for interactive choreography on the Internet. The Hands-On Dance Project was the practical aspect of her doctoral research. Sita is coordinating the Eurodans.net project, using the Internet to link dance students from higher education institutions across Europe in the process of choreographing a new work. The dancework will be performed at the ELIA Conferencing in Dublin, October 2002. She is also currently working on the Crossing Bridges: Theatre and Technology project, linking actors and writers in Bosnia and Croatia with American playwright, James Mirrione from NYU. Sita is the Dance Expert for the NotSchool Project at ULTRALAB, at Anglia Polytechnic University, UK. She recently co-founded the Performance Robotics Research Group (PRRG), a collective of UK-based performance academics working with a robotics engineering company in London called Shadow Robots.